The Narragansett Bay Coyote Study (NBCS) and Andes Visual Films (Andes Visual Films) present “Creating Urban Coyotes” with videography by Rodrigo Fernandez. The film contains unequaled footage of urban coyotes – these from Aquidneck Island. Coyotes in parts of the island are being fed, unintentionally and intentionally, by some urban and suburban residents. Fed animals lose their fear of people and feel comfortable foraging in town. 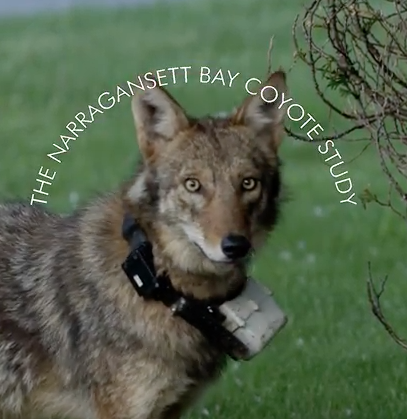 This film features study animal “Cliff,” one of the coyotes GPS-collared by the NBCS, whose track reveals places he is receiving food resources from people. Feeding is coyotes is now illegal on Aquidneck Island and should be reported to the police and NBCS. Thank you Newport Daily News for helping spread the word!